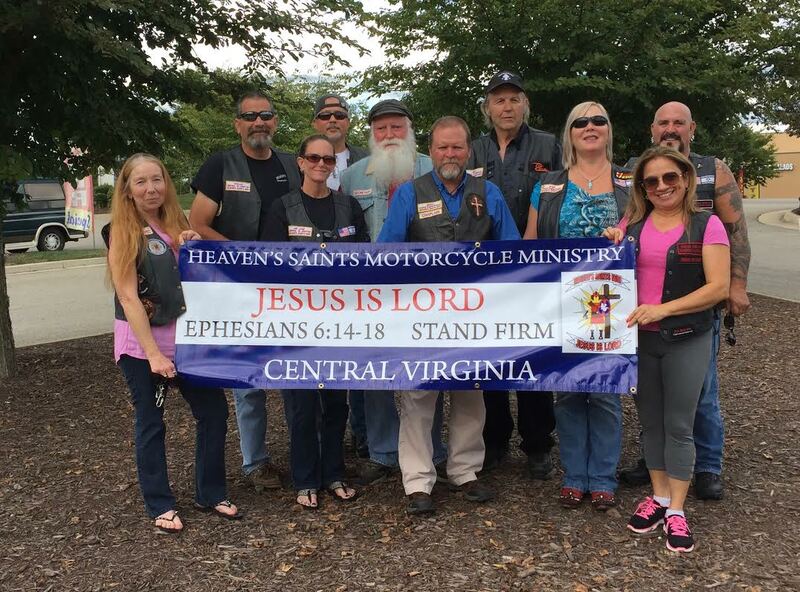 The Central Virginia Chapter of the Heaven’s Saints Motorcycle Ministry, based in the central Virginia area, is a Ministry not a Motorcycle Club. It is not our desire to control any specific state, city or location. It is however our desire to assist those in need in whatever way we can. Our bylaws are the Bible. We will do our best to guide others into a personal relationship with God and His Son, Jesus. We believe that Jesus is the answer to any problem you might be facing. We are always glad to pray for you, contact the chapter to let us know how we can pray for you. The mission of the chapter is to play a duel role in the community. 1. We serve as a support group for born-again believers and those who have lived or been closely associated with the typical worldly biker lifestyle. The chapter plays a role in assisting them in seeking and establishing the area of ministry God is directing them into. 2. To reach the lost with the Good News of Jesus and bring them into a saving knowledge of Him. We prayerfully consider how we can best direct our efforts to provide help and assistance to those in need. The chapter is involved in many areas of ministry including community outreach, homeless shelters, distributing clothing, biker rallies and events, and many other opportunities as God directs us.